Winner of the 5th Olive Tree Genealogy Giveaway of an Ancestry World Membership! Congratulations to Cathy! She will receive a 3-month World Explorer Membership to Ancestry.com for herself and a second one to give to a friend. Every Tuesday and Thursday from October 16 to November 2, I will be giving away TWO 3-month World Explorer Subscriptions to Ancestry.com to one lucky winner. There are two subscriptions being awarded because the winner keeps one and gives one to a friend! You can read about the ongoing contest at Win an Ancestry.com World Subscription in the Olive Tree Genealogy Giveaway! The last Olive Tree Genealogy Giveaway begins at 1 a.m. Thurs. Nov 1. If you entered previous contests and didn't win feel free to enter again. Rules and regulations for the Nov. 1 contest will be posted that day. Ancestry.com has generously donated prizes for an Olive Tree Genealogy giveaway. Every Tuesday and Thursday from October 16 to November 2, I will be giving away TWO 3-month World Subscriptions to Ancestry.com to one lucky winner. There are two subscriptions being awarded. The winner keeps one and gives one to a friend! Today's Giveaway starts Tuesday Oct. 30 at 8 a.m EDT and ends the NEXT day at 8 a.m EDT. Winners will be announced on Olive Tree Genealogy blog the day following the contest. 1. Share this blog post. For example, you may share on a social media site such as Twitter, Facebook or Google+. You could provide a link to the blog post on your own blog, or share on a mailing list. b) Tell me where you shared the news of Olive Tree Genealogy Giveaway. 3. One winner will be chosen to receive the giveaway each Tuesday and Thursday. 6. The winners will be notified via your provided contact information and the winners' names will be posted on Olive Tree Genealogy blog. 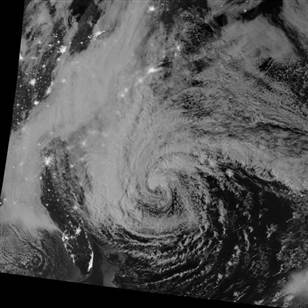 Frankenstorm. You'd have to be living under a rock to not have heard of the impending Frankenstorm. The hype and warnings and online maps showing the predicted path of what many are calling "perfect storm" made me think about our ancestors. They lived through terrible storms and droughts and floods and hurricanes, without the advance warnings that we have today. But have you ever looked into exactly what storms they endured? And how they coped? They didn't have the warning systems we take for granted. Great-grandpa looked to the clouds and the animals and birds to predict bad weather coming. So he likely didn't have much time to prepare, nor would he know how bad a storm might be. We run around stockpiling enough food and water for 72 hours. We gas up our cars in case we have to evacuate. But is this something you think your ancestor might have done? Depending on the year and the location, probably not. For example did you have ancestors who were living in the Massachusetts Bay Colony in 1635? There was a bad hurricane that year and if your ancestors were there, you might want to imagine what they went through. What about Miami Florida in 1926? Or the 1938 New England hurricane that killed 600 people? This site has lists of historic hurricanes to help you figure out if your ancestors experienced a bad hurricane. And these are only hurricanes. There would be droughts, floods, tornadoes, earthquakes and other catastrophic natural events that our ancestors experienced. One way you could check to see what your ancestors might have gone through is to find records of historical natural disasters. Then if you had an ancestor living in that location in that time period, consult Online Historic Newspapers for more in-depth detail of what occurred. Adding detail to your ancestors helps make them more "real" to us, more alive and also reinforces that your ancestors were just like you - they lived, loved, suffered, laughed and had all the human emotions that we have today. It's easy to forget that they were real people just like us. They lived through their own Frankenstorms. Labels: Frankenstorm, Genealogy Research, Historic Newspapers. This document is a scrap of paper containing a hand-written note signed by Angus McQuaig. 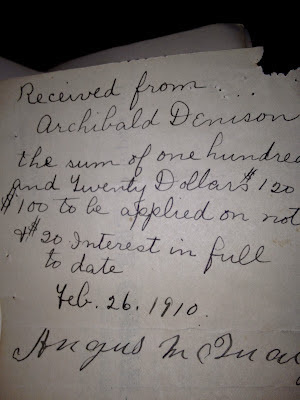 It is dated 26 February 1910 and is a receipt for money ($120.00) received from Archibald Denison. More documents will follow as I scan them and extract their details. More documents will follow as I scan them and extract their details. This is the reverse of the receipt above. 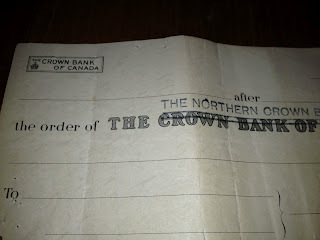 I thought it was interesting to see that the receipt was written on the back of a cheque from the Crown Bank of Canada. 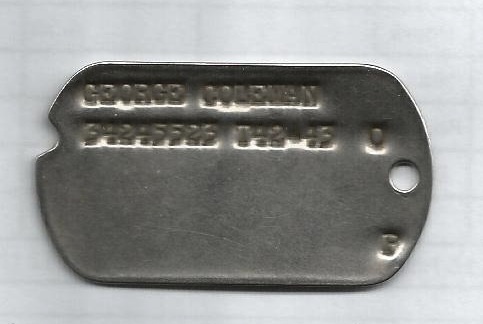 This was then stamped above as The Northern Crown Bank of Canada. The Northern Crown Bank was the offspring of the 1908 merger of Winnipeg's Northern Bank and the Ontario-based Crown Bank of Canada. The Royal Bank purchased the Northern Crown Bank in 1918. To read details of documents I've published here on Olive Tree Genealogy blog, see Lennox-Addington Collection in the right hand navbar. Winner of the 4th Olive Tree Genealogy Giveaway of an Ancestry World Membership! Congratulations Karen! She will receive a 3-month World Explorer Membership to Ancestry.com for himself and a second one to give to a friend. The next Olive Tree Genealogy Giveaway begins at 1 a.m. Tues. October 30. If you entered previous contests and didn't win feel free to enter again. Rules and regulations for the Oct. 30 contest will be posted that day. Fourth Chance to Win an Ancestry Membership! Every Tuesday and Thursday from October 16 to November 2, I will be giving away TWO 3-month World Subscriptions to Ancestry.com to one lucky winner. There are two subscriptions being awarded because the winner keeps one and gives one to a friend! Today's Giveaway starts Thursday Oct. 25 at 8 a.m EDT and ends the NEXT day at 8 a.m EDT. Winners will be announced on Olive Tree Genealogy blog the day following the contest. Fred wrote to Olive Tree Genealogy with quite a few questions about his ancestors who were in "Canada West" between 1856 and 1863. Ask Olive Answered: Fred, first things first. Hopefully you looked it up and discovered that "Canada West" is present day Ontario. So you need to find early Ontario records for your family. Before being called Canada West it was called Upper Canada. 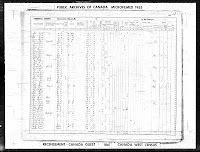 Second: There is no 1860 census for Canada. Canada did not exist as a country until Confederation in 1867 and thus the first census for Canada is 1871. 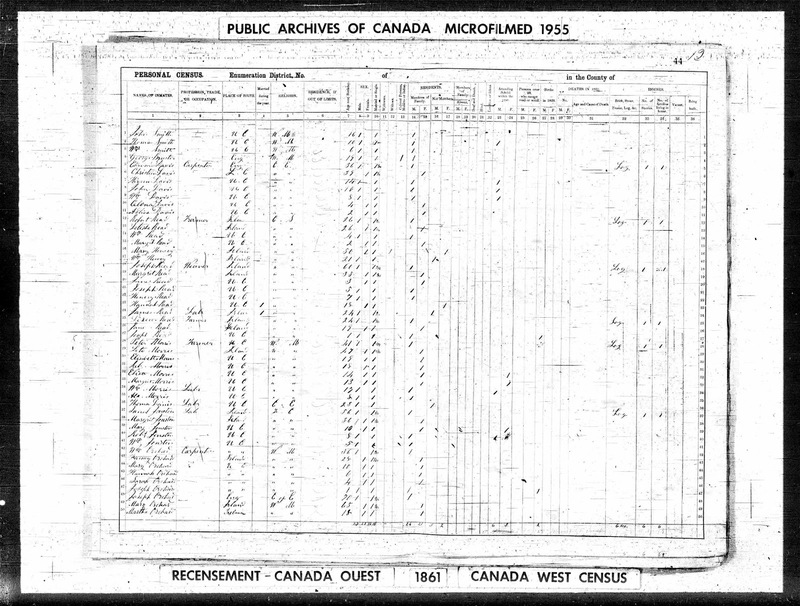 The census prior to 1871 was 1861 (not 1860) and consists of records for the 5 provinces of that time. Unfortunately not all of the 1861 returns survived. For a list of the missing returns, see Ontario GenWeb Census Project. As well, many surviving records are badly faded and could not be indexed, so a search on Ancestry.com might not find a name even though a record survived. You would have to do a page by page search of the images in hopes of spotting your ancestors' names. Winner of the 3rd Olive Tree Genealogy Giveaway of an Ancestry World Membership! Congratulations Doug! Doug will receive a 3-month World Explorer Membership to Ancestry.com for himself and a second one to give to a friend. The next Olive Tree Genealogy Giveaway begins at 1 a.m. October 25. If you entered previous contests and didn't win feel free to enter again. Rules and regulations for the Oct. 25 contest will be posted that day. 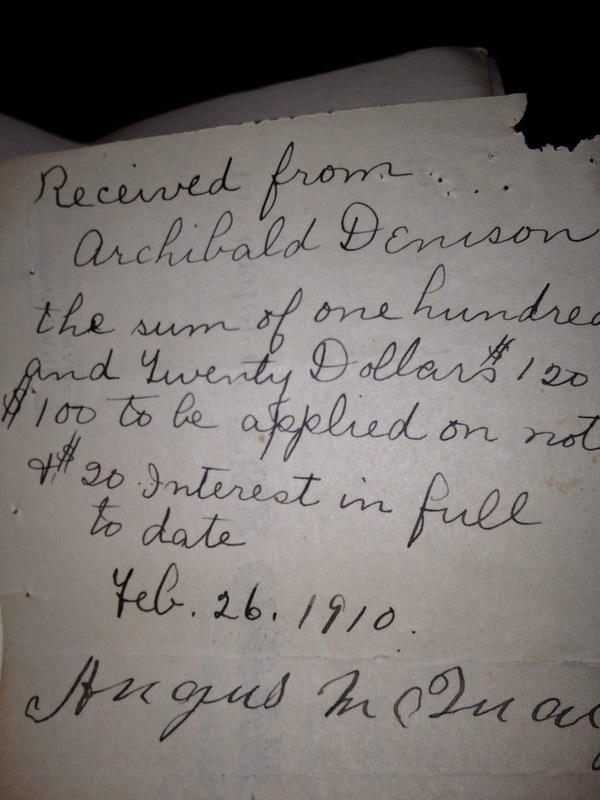 Third Chance to Win an Ancestry Subscription! Today's Giveaway starts Tuesday Oct. 23 at 1 a.m EDT and ends the same day at 11:59 p.m EDT. 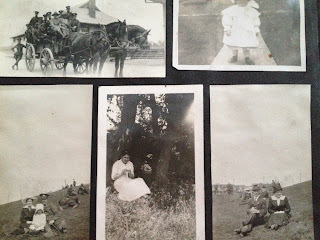 Winners will be announced on Olive Tree Genealogy blog the day following the contest. PROVO, Utah, October 22, 2012 –Ancestry.com (Nasdaq:ACOM), the global leader in online family history, and Permira, the European private equity firm with global reach, today announced that a company owned by the Permira funds and co-investors has entered into a definitive merger agreement to acquire Ancestry.com for $32.00 per share in cash in a transaction valued at $1.6 billion. Tim Sullivan, Ancestry.com’s President and Chief Executive Officer, and Howard Hochhauser, Ancestry.com’s Chief Financial Officer and Chief Operating Officer, will maintain a majority of their equity stakes in the company as part of the transaction. Spectrum Equity will also remain an investor in the company. The transaction represents a premium of 41% over Ancestry.com’s closing stock price on June 5, 2012, the last trading day prior to press reports that Ancestry.com had retained a financial advisor in connection with a possible sale of the company. The disinterested members of Ancestry.com’s Board of Directors have unanimously approved the transaction and recommend that Ancestry.com stockholders approve the merger. Affiliates of Spectrum Equity, which together own approximately 30% of the company’s outstanding shares, have agreed to vote their shares in favor of the merger. Ancestry.com is the world’s largest online family history resource. Its global network of websites empowers users to make meaningful discoveries and share their family history. Over 15 years Ancestry.com has assembled an unrivaled worldwide collection of over 10 billion digitized, indexed records and built a feature-rich, engaging product experience for its 2 million-plus subscribers. The company’s best-in-class technology ensures access everywhere via web, desktop and mobile. Ancestry.com and Permira indicated that the company will continue executing on its growth strategy and initiatives led by content acquisition and technology investment, with the support of the Permira funds and the investor group. 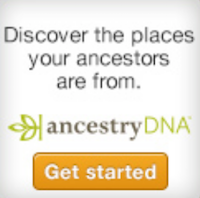 There are no anticipated changes in Ancestry.com’s operating structure. Ancestry.com’s focus will continue to be on investing in content, technology and its user experience, expanding its product offerings in areas like DNA, and building the Ancestry.com brand and the family history category, all on a global basis. Ancestry.com will remain headquartered in Provo, Utah, with a continued large presence in San Francisco, Dublin, London and other international markets. The transaction, which is subject to the approval of holders of a majority of the outstanding shares of Ancestry.com common stock and other customary closing conditions, is expected to close in early 2013. The company will file additional details regarding the transaction shortly with the Securities and Exchange Commission on a Form 8-K, and in proxy materials to be provided to the company’s stockholders in connection with the special meeting to vote on the merger. The Board of Directors of Ancestry.com received financial advice from Qatalyst Partners LP, who also provided a fairness opinion in connection with the transaction, and Wachtell, Lipton, Rosen & Katz served as the company’s legal counsel. Morgan Stanley served as financial advisor to the Permira funds while Fried, Frank, Harris, Shriver & Jacobson LLP and Clifford Chance LLP served as legal advisors. The Permira funds were also advised by McKinsey & Company, Aon M&A Solutions, and PricewaterhouseCoopers LLP. Barclays, Credit Suisse Securities, Deutsche Bank, Morgan Stanley and RBC Capital Markets have agreed to provide financing to the acquiring company in connection with the merger. As previously announced, Ancestry.com will release financial results for its third quarter 2012 on Wednesday, October 24, 2012 at approximately 2:00 p.m. MT (4:00 p.m. ET). In light of today’s announcement, the company will no longer be hosting a corresponding conference call with analysts and investors to discuss the financial results. The following promotion codes are valid 12:00 a.m.–11:59 p.m. Mountain Time (-6 GMT) on their respective dates when ordered on the Flip-Pal Mobile Scanner shop page. Remember to place all items in your shopping cart first, before entering the promotion code! No Promotion Code needed, just click on the link above! If I won the Flip-Pal scanner, I would first scan all those mysterious family photos sitting neglected in a box. 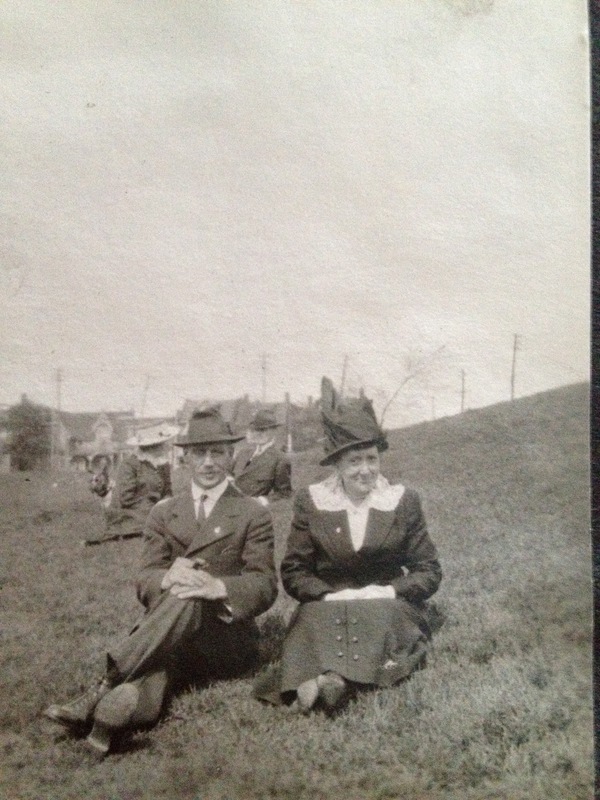 Next a visit to my elderly aunt to scan her treasured and very protected photos and, with a little smoozing, scan and stitch that coveted "Please Don't Touch" oval photograph of her father in his military finest. A collage of the photos related to each family will become a welcome Christmas gift and also help to identify those lost souls and relatives who are hiding in the collages just waiting to be identified. Congratulations Brian! Brian will receive a 3-month World Explorer Membership to Ancestry.com for himself and a second one to give to a friend. The third contest begins at 1 a.m. October 23rd. If you entered previous contests and didn't win feel free to enter again. Rules and regulations for the Oct. 23rd contest will be posted that day. Today's Giveaways starts Thursday Oct. 18 at 1 a.m EDT and ends the same day at 11:59 p.m EDT. Winners will be announced on Olive Tree Genealogy blog the day following the contest. Four Bloggers' Ancestry Membership Giveaways Means More Chances to Win! Four Genealogy Bloggers were chosen by Ancestry.com to give away 3-month World Exploration Memberships for two (you and a friend) as part of their Death Education Records Program and Challenge . That means more chances for you to win! 1. Olive Tree Genealogy is running 6 separate contests between Oct. 16 and Nov. 2. You can enter 6 times on this one! Details are at Win an Ancestry.com World Subscription in the Olive Tree Genealogy Giveaway! Congratulations Liz! Liz will receive a 3-month World Explorer Membership to Ancestry.com for herself and a second one to give to a friend. Tomorrow's contest rules will be announced here on Olive Tree Genealogy blog so be sure to enter for your chance to win. If you entered the contest for Oct 16 and didn't win, enter again in the Oct. 18 contest. But don't enter until you see the contest rules posted. Flip-Pal mobile scanner 2012 Family History Month Sale! Save $30 when you purchase a Flip-Pal Mobile Scanner plus a Deluxe Flip-Pal mobile scanner Carry Case and a Flip-Pal mobile scanner Sketch Kit! 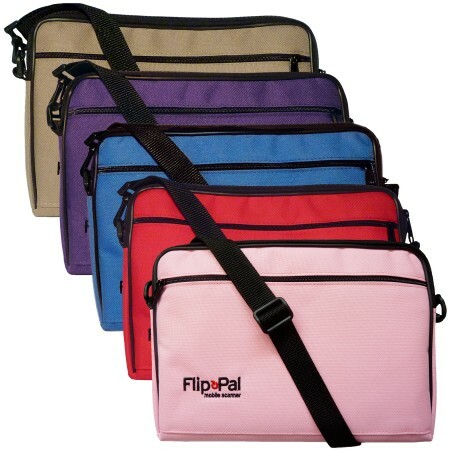 Win a Flip-Pal Mobile Scanner & Carry Case! Great news! 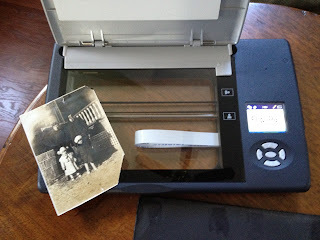 Olive Tree Genealogy is pleased to offer a contest giveaway of a Flip-Pal Mobile Scanner and carry case for one lucky winner. 1. Share this blog post on a social media site such as Twitter, Facebook or Google+. You may provide a link to the blog post on your own blog as an alternate method of sharing the news. 2. a} Send an email to otg.giveaway@gmail.com telling me in 3 sentences or less, how you will use the scanner. b) You must also tell me where you shared the news of the contest. The most creative or compelling or original entry wins. Since I will probably know some of you who enter, I will not judge the winning entry. An independent person who does not own a computer and therefore is not online will choose the entry she finds most creative, compelling or original. 3. One winner will be chosen to receive the giveaway. 6. The winner will be notified via your provided contact information one day after the end of the contest, and the winner's name will be posted on Olive Tree Genealogy blog. Win an Ancestry.com World Subscription in the Olive Tree Genealogy Giveaway! Great news! As part of their Death Contest and October Death Education Program, Ancestry.com has generously donated prizes for an Olive Tree Genealogy giveaway. The Giveaways run every Tuesday and Thursday starting at midnight EDT and ending 24 hours later. Winners will be announced on Olive Tree Genealogy blog the day following the contest. 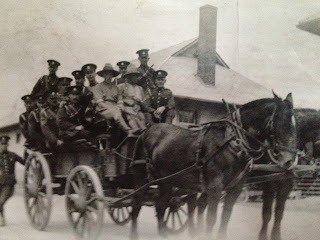 Continuing on with my WW1 Photo Album archive here is the fifth page. 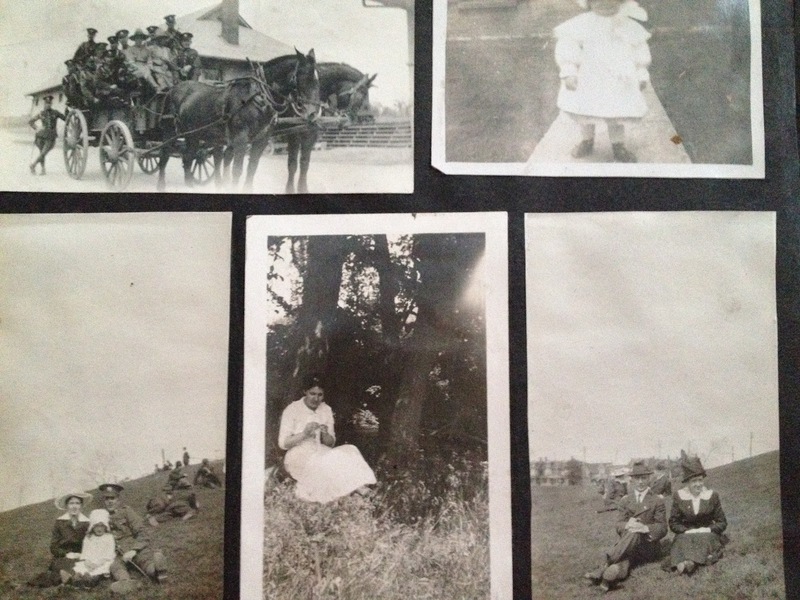 We're still in WW1 era and there are 5 photos glued on to this page. 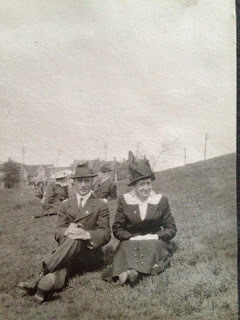 Uncle Ern, my grandmother's brother, may very well be in this photo but I haven't spotted him as a definite. It's a cavalry unit, no doubt the same unit we saw Ern in previous photos. 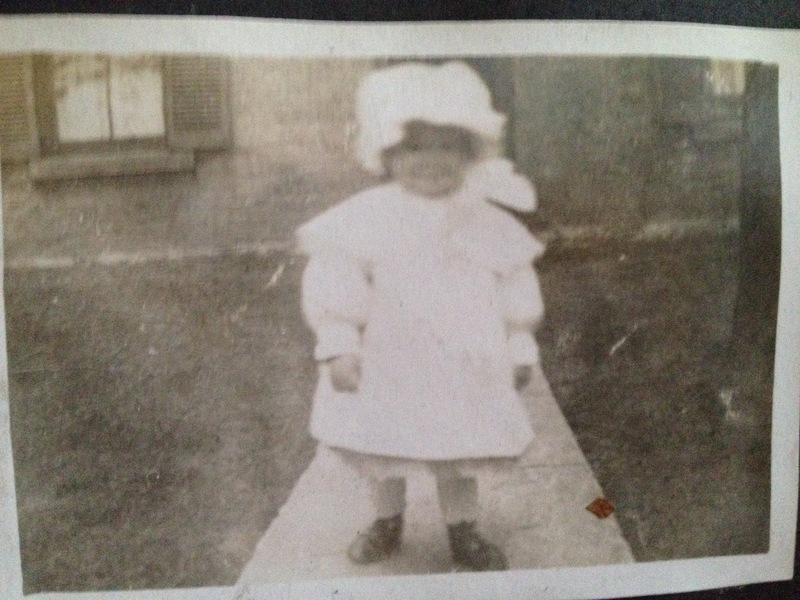 This looks like my aunt Lily and if it is her, the photo was taken ca 1916. But it could also be Ern's little girl Edith who died at the age of one year in 1911. This is Auntie Cordie (Ern's wife), Ern, and their daughter Doris. Doris was my mom's cousin and it was Doris' home that these albums came from. Doris was born in Toronto in 1910 and lived in the same house her entire life. This is Auntie Cordie. 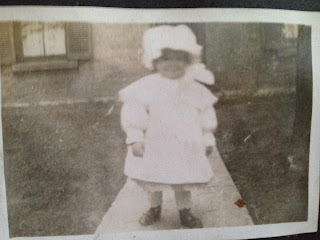 She was born Cordelia Mary Cook in Ramsgate, Kent England in 1885 to parents Henry Stephen Cook and Priscilla Edith Curtis. 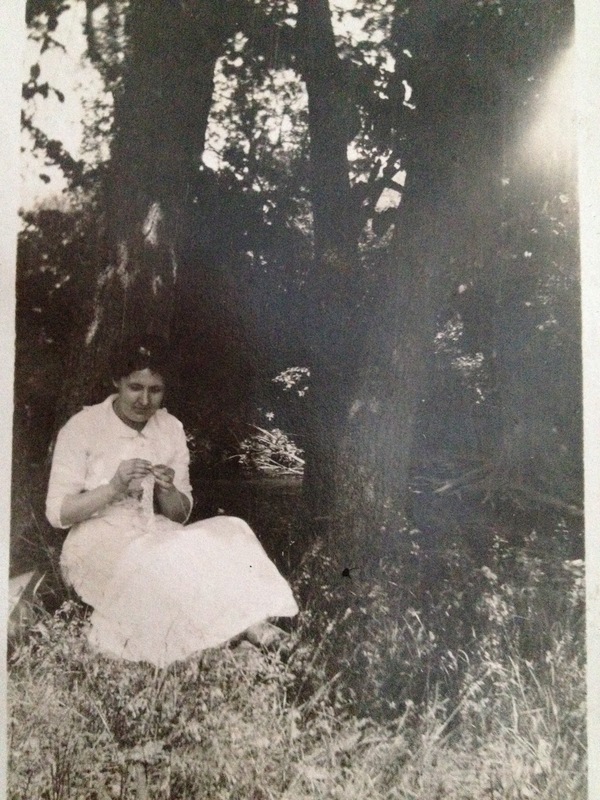 Cordie's mother died in 1889 leaving her motherless until her father's remarriage to Rose Dugwell in 1891. I don't know who this couple is. Win Prizes with Ancestry's Death Record Challenges Oct. 15 - Nov. 2! Want to win an iPad or other great prizes? Just solve mysteries from beyond the grave using Ancestry.com collections and your investigative powers through November 2. The October Death Record Education Program starts today with your first challenge. You have 24 hours from the moment the contest starts to enter your answer on the site. The first contest opens at 12:01 Monday morning October 15th, and will close at 11:59 pm on Tuesday. The winner will then be posted Wednesday along with the new question. Prizes will be given for Monday and Wednesday questions. Today’s Challenge: A Death in the Family. You can back daily for tips, hints and more challenges—each one you answer is another entry in the grand prize drawing. So get started now at Death Contest for your chance to win! Caveat: I am not running the Ancestry.com Death Contest Challenge. If you experience any difficulties or glitches in their contest submission form, please contact Ancestry.com directly. My father who was a cinema manager in Amlwch Anglesey found two dog tags which I have in my possession and would be grateful if you could repatriate. Want to add some bling to your Flip-Pal mobile scanner and help find a cure for breast cancer? 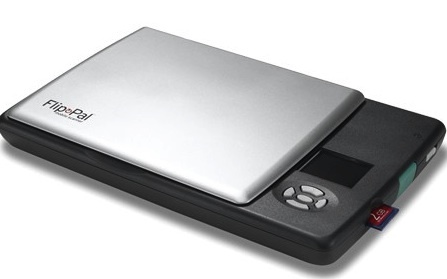 Don't have a Flip-Pal Mobile Scanner yet? 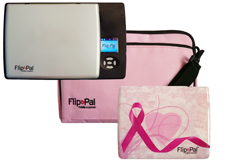 As part of National Breast Cancer Awareness Month, Flip-Pal Mobile Scanner has introduced a special "pink" bundle consisting of a Flip-Pal Mobile Scanner, a pink Deluxe Carry Case and a pink lid cover. This bundle, which will normally retail for $176.99, is being offered at the special introductory price of $159.29 during the month of October! The pink lid cover is also being offered separately, at the special price of $14.39. Order your bundle today. Some months ago I came across an incredibly valuable set of records in the Archives of Canada -- the responses of 180 heads of families among the settlers who emigrated to Upper Canada in 1823 and 1825. For some time I've thought about how best to bring these records forward -- and decided to invite volunteers to join in a collaborative transcription of these records on Peannairi . The survey responses of these settlers at Peannairi is a unique and exciting find. Have We Lost the Art of Writing Compelling Letters? 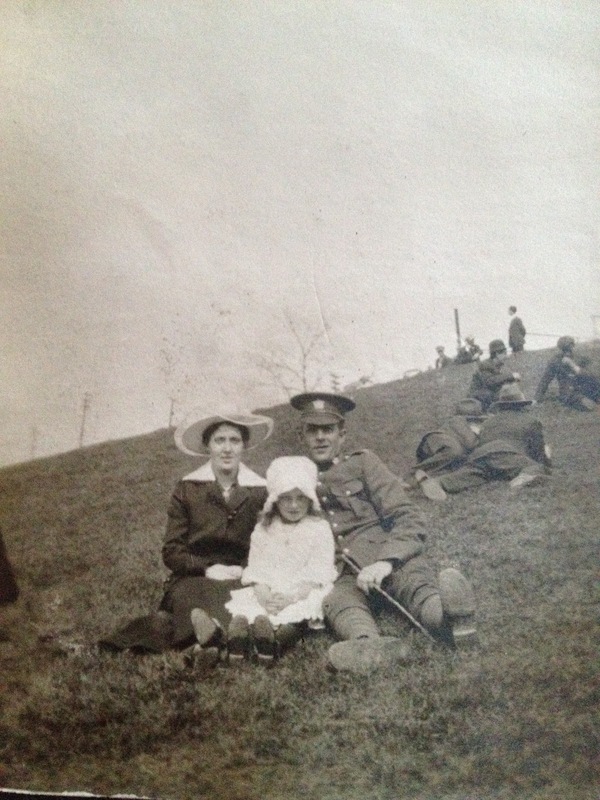 Take a look at some poignant letters written over 100 years ago. Andrew Bass wrote to his wife from Camp Lee near Richmond Virginia in 1862 "Dear wife, don’t grieve for me it will do no good but let me say to you pray for me with all your heart that if we never meet on earth again that we may meet in heaven where parting will be no more." John DeCamp wrote to his brother William about coming to Ohio in 1829 "Dear Brother at the last time we saw each other thee expressed a strong desire to come out here and I have frequently written to thee on the subject. Yet not withstanding I humbly desire that thee will not take up with my mind alone in this matter. But use thy own will herein. As I do not wish to over persuade thee or any of my friends." Such beautiful writing! It is so expressive and for me it evokes strong emotions. But what would John or Andrew have said, and how would they have said it or sent it, if they were writing now? Andrew might have sent an email "Hey sweetie, I'm okay. Keep your fingers crossed I make it home safe and sound but please don't worry." John might have texted his brother William "Bro - r u coming 2 Ohio or not?" They don't quite evoke the same emotions do they? And would they be saved? Would descendants of John or Andrew be able to read their words 100 years later? Yes, I fear we've lost the art of letter writing. Don't get me wrong, I love technology. I love email and texting via smartphones. But I also love getting a letter by snail mail and prolonging the opening of the envelope. Anticipation builds while the kettle is put on to boil water for tea. It's almost a ritual. But I don't get many snail mail letters anymore. In fact the last one I got was several months ago from my 89 year old auntie. Have we lost letter writing forever? Is it too late to get it back? I often think of how our descendants won't have our words on paper to enjoy. How they may not have our photographs since most of us keep them in digital format. I'm not sure what, if anything, can be done. But I sure love the sweetness of Andrew's words to his wife and the longing I can hear in John's note to his brother. And I hope we haven't lost that completely. Pinterest: Time Waster or Useful Utility? "What is Pinterest? Why would I want to join? Isn't it just another time-waster?" These are questions I see being asked constantly about Pinterest. I'm a Pinterest user. I like it. You can find me there under my Twitter handle LorineMS or by searching for Olive Tree Genealogy. Once registered on Pinterest you simply create Boards and then you start pinning websites on your boards. I started off very simply by creating a Board for Genealogy Websites, Cooking, Technology and Antiques. As I filled those boards with my pins, I realized I needed to divide them into more precise categories such as Breakfasts, Slow Cooker Recipes, Veggies to Die For, and so on. You can get as creative or plain as you want with your Board titles! Pinterest makes it easy to move your pins around if you find you want to create new boards with more specific topics. I use Pinterest to capture recipes that I don't have time to look through carefully. Because when I know I'm going to try a recipe I capture it on Evernote. But if I'm busy but I don't want to read through the recipe and think about whether or not I want to make it, Pinterest is the option I choose to save or bookmark it. 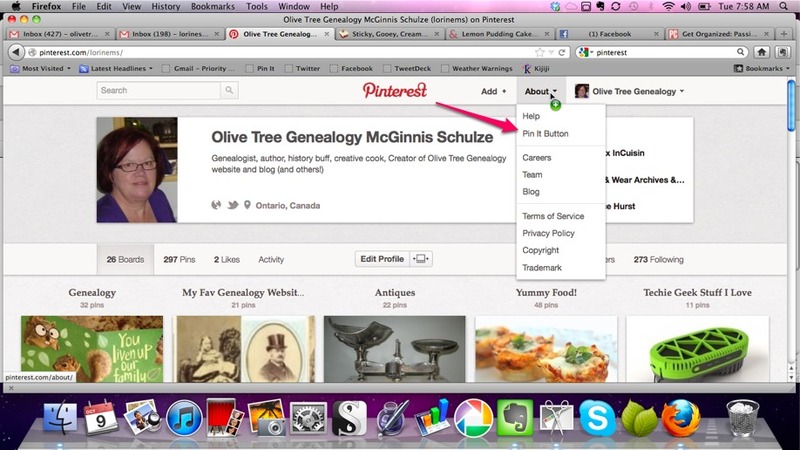 I also use Pinterest to organize my favourite genealogy websites. All I need to do is "pin" a website that I like. I do this by downloading the Pin It Button which I then can see on my Firefox browser. That means whenever I find a webpage I like (genealogy, cooking, technology, antiques, etc) I simply click on the button. Then I'm offered a choice of available photos from the webpage. I choose one and the photo plus the original site's URL are pinned to whatever board I choose. Pinterest is very easy to use. There are drop down menus which allow you to quickly and easily create boards, move your pins from one board to another, reorganize the order of your boards on your Pinterest page, and so on. Pinterest is also a social tool - you are meant to follow other people's boards and have them follow yours. I like following specific boards rather than every board one person has on their page. So I mainly follow genealogy and cooking boards that appeal to me. Following other boards allows you to spot a yummy recipe or cool new genealogy website that you didn't know about. Then you repin it to your board of choice and you've got an automatic bookmark/reminder of that site. There's a couple of drawbacks to Pinterest. You can't pin from Facebook. There may be other sites that are not Pinterest friendly. Some sites don't have any graphics that Pinterest recognizes so that blocks pinning unless you use a workaround I figured out. Here's what you do if you want to pin a specific webpage but the graphics are not recognized by Pinterest. Copy the URL of the webpage you want to pin (highlight the URL and copy with your mouse). Now poke around in the site until you find a graphic that Pinterest can use. Never mind if it's not the right URL to lead others to the page you want. Right now you just want the graphic. Pin that to your board. Now go in and EDIT that pin. You'll see a field where you can change the URL. This is where you will PASTE the URL you copied previously. Bingo you've got the graphic you want and the correct URL to take viewers directly the appropriate page. So come and join me on Pinterest! It's fun, it's easy and it's such a cool way to organize your favourite sites in a visual way.